to discover who they really are. 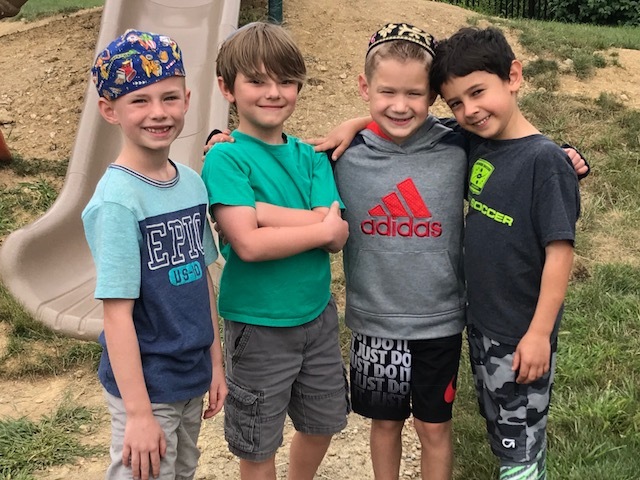 Located on seven acres of meadow, creek, pond, and woods, Columbus Jewish Day School provides children in kindergarten through sixth grade the academic and social tools they need to grow into independent, socially responsible, ethical, human beings. CJDS is a community Jewish day school. Families of all denominations select Columbus Jewish Day School because they believe in an elementary education that speaks to the mind, heart, and soul. In partnership, CJDS teachers and families empower our children to use their knowledge with wisdom and kindness. CJDS graduates are prepared to succeed in the most demanding academic environments. As committed members of the Jewish and global community, our students leave CJDS ready to become the creators and leaders of the future. Enjoy our digital view book here. CJDS is centrally located in New Albany, Ohio. Built in 2009, our building is a shared space with the JCC Northeast Campus. Our students learn in spacious, beautiful classrooms with picture windows that allow them to gaze upon the natural classrooms surrounding our school. Each grade has two classrooms, furnished with moveable furniture, giving our teachers maximum flexibility in engaging students for learning. And the Alison Goldberg Senser Gymnasium hosts our All-School Kabbalat Shabbat and holiday programming, our annual Gratitude Concert, and other student performances – while also being our space for indoor play and physical education. The school contains a commercial grade kosher kitchen, from which we serve hot lunch daily. We have six outdoor classrooms that are used year-round, for which we have been awarded the “Wild School” designation by the state of Ohio. Our gardens, tended by the students, produce hundreds of pounds of vegetables that are donated to those in need in the Columbus community, in partnership with Wexner Heritage Village and Star House. Our pond serves as a live biology lab for students to explore the ecosystem.